Toronto, Ontario–(Newsfile Corp. – February 12, 2019) – Braingrid Limited (CSE: BGRD)(“Braingrid”) (braingrid.io a global provider of affordable, scalable, and easy-to-deploy sensor platforms for precision agriculture is pleased to announce that its subsidiary Braingrid Corporation has entered into an Integration Agreement with Cannabis OneFive, Inc. (“C15”) a technology partner for Veeva Systems Inc. focused on a modern unified Quality Management System (“QMS”) and Document Management System, bringing compliance and quality together for the global cannabis sector. Pursuant to the terms of the Integration Agreement, the parties will make use of Braingrid’s Application Programming Interfaces (“APIs”) in conjunction with C15’s interfaces to enable C15 to provide additional functionality for users of its products or to integrate access to certain Braingrid products into C15’s product offerings and for Braingrid to be able to have a bundled product offering with C15’s QMS. Braingrid’s versatile and quick-to-install data acquisition and sensor integration platform for cannabis cultivators captures real-time data needed to increase revenues, reduce costs and risks. The system inexpensively connects cultivators to their grow on a microclimate level. Braingrid is also developing systems utilizing data science, machine learning and AI to deliver “smart” controls and building management solutions for the precision agriculture and energy efficiency sectors. “C15 is the latest cannabis service provider to join the Braingrid family of great companies providing essential quality services to cannabis growers,” said Michael Kadonoff, CEO and founder of Braingrid. “Growers who use the combined Braingrid and C15 systems will appreciate the ease and efficiency of the combined critical grow information and paperless document control at their fingertips” he continued. C15 utilizes the Veeva “QualityOne” cloud based QMS and document control system adopted by over 650 global pharmaceutical companies, tailored for the Canadian cannabis landscape. “Having Braingrid’s data and analytics shown right on our customer’s screen is a huge advantage for our growers who are intent of making immediate decisions that can save crops from a mold outbreak,” said Scott Samuel CEO of C15. He added: “C15’s user friendly automated design will integrate seamlessly with Braingrid’s enhanced user interface”. Cannabis OneFive, Inc. (“C15”) is a technology partner of Veeva Systems Inc. (“Veeva” www.industries.veeva.com). C15’s customer base includes cultivators (large and small cap, domestic and international), licensed dealers, and processors. 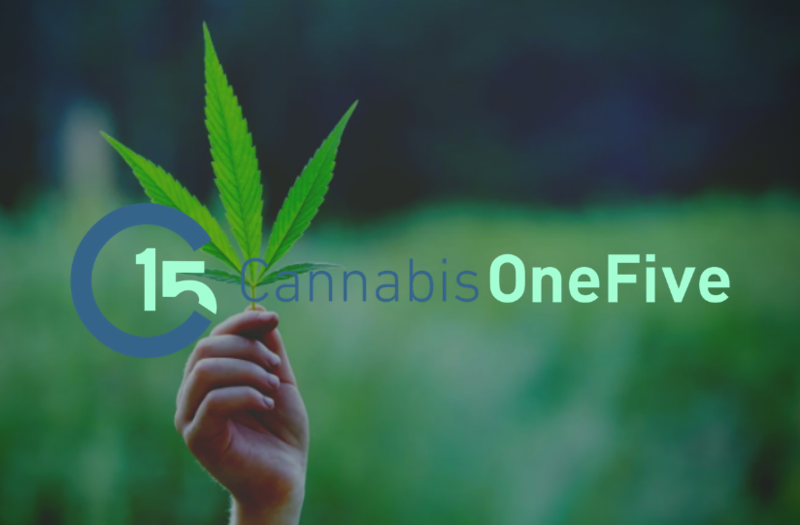 C15 brings expertise and a laser focus on the cannabis industry along with the rights to sell, configure and customize QualityOne, BrandOne (claims management) and Vault CTMS (clinical trial management). The C15 Veeva QualityOne cloud application is globally compliant with FDA 21 CFR Part 11; EU GMP Annex 11, and Cannabis Act regulations. C15’s mission is to digitally transform quality and compliance in the cannabis sector. This news release includes forward-looking information and statements, which may include, but are not limited to, information and statements regarding or inferring the future business, operations, financial performance, prospects, and other plans, intentions, expectations, estimates, and beliefs of Braingrid and C15. Information and statements which are not purely historical fact are forward-looking statements. Forward-looking information and statements involve and are subject to assumptions and known and unknown risks, uncertainties, and other factors which may cause actual events, results, performance, or achievements of Braingrid and C15 to be materially different from future events, results, performance, and achievements expressed or implied by forward-looking information and statements herein. Such forward looking statements include statements regarding the potential benefits of integrating the Braingrid and C15 technology. Although Braingrid and C15 believe that any forward-looking information and statements herein are reasonable, in light of the use of assumptions and the significant risks and uncertainties inherent in such information and statements, there can be no assurance that any such forward-looking information and statements will prove to be accurate, and accordingly readers are advised to rely on their own evaluation of such risks and uncertainties and should not place undue reliance upon such forward-looking information and statements. Any forward-looking information and statements herein are made as of the date hereof, and except as required by applicable laws, Braingrid and C15 assume no obligation and disclaim any intention to update or revise any forward-looking information and statements herein or to update the reasons that actual events or results could or do differ from those projected in any forward-looking information and statements herein, whether as a result of new information, future events or results, or otherwise, except as required by applicable laws.